Russian censors are inspecting public Wi-Fi zones too see if ISPs are blocking websites banned by the state. Images edited by Tetyana Lokot. Russian censors have begun policing public wireless Internet in cafes, shopping malls and public libraries, in what they say is an effort to ensure ISPs are blocking websites that are officially banned in Russia. Roscomnadzor, the Russian state communications regulator, intends to find out how stringently the Internet providers in places with free Wi-Fi comply with the state's demands to block certain websites and web pages, the agency's spokesman, Vadim Ampelonsky told Russian news outlet Izvestiya.”This is part of a planned effort to control how well communications providers adhere to the demands to block websites and webpages,” he said. Under Russian law, all Internet service providers must comply with the state's banned websites registry, which is updated on a daily basis, and block access to all websites on the blacklist. Those who fail to do so in a timely manner face a fine of up to 40,000 rubles ($585). Libraries and cafes can't control online content. Or can they? The catch here is that the venues providing public Wi-Fi bear no responsibility in this regulatory scheme—it lies wholly with the Internet service providers. 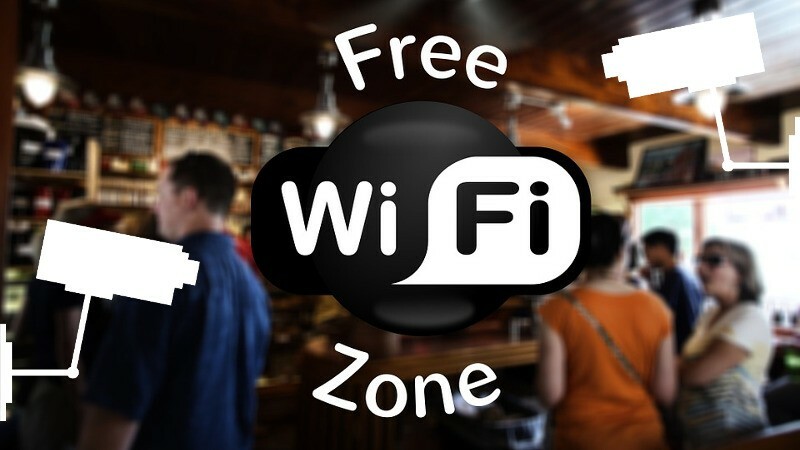 Cafes and other entities offering public Wi-Fi are simply customers of the ISP. Зачем инспекторы Роскомнадзора ходят по кафе? Можно было попросить провайдеров сделать на их сайте форму, через которую можно было проверить, фильтрует ли оператор запрещенные сайты или нет. Why are Roscomnadzor inspectors going from cafe to cafe? They could just ask the providers to put up a form on their website that you could use to check whether the ISP filters banned websites or not. Although Roscomnadzor's policing efforts may seem like an unnecessarily circuitous approach to regulating Internet access in Russia, the Ministry of Communications is hard at work to get public urban venues to share at least some the burden. One of the Ministry's new draft bills obligates venues with public Wi-Fi to require customers to provide their identification information before using their networks and is pushing to institute fines for venues that don't comply. User ID systems for public Wi-Fi use are in place in many countries around the world, so Russia's attempt at minimizing space for user anonymity is certainly not unprecedented in this respect. But the state's increasing efforts to police online content and anonymous access to the Web are contributing to a growing feeling of unease among Russian Internet users. The Ministry of Communications also recently advocated increasing the fines for ISPs who fail to block banned sites: a new draft bill suggests that each banned link or IP-address that isn't blocked at the behest of the censors could cost the providers up to 100,000 rubles ($1,460). Ampelonsky said the public spaces were intentionally selected so that an array of ISPs would be available for inspection. At the moment, over 400 public Wi-Fi zones have been inspected in the Central Federal District, encompassing Moscow and 17 other Russian regions. Roscomnadzor has reported 15 cases of violations after this round of inspections. Several state agencies can contribute to the banned websites list as well: Roscomnadzor is in charge of finding illegal pornographic content online, the Federal Drug Control Service reports content about illegal drug distribution and propaganda, the Federal Service for Supervision of Consumer Rights and Human Welfare can ban information contaning propaganda of suicide or otherwise harmful to children, and the Federal Tax Service is responsible for blocking gambling-related content. Finally, the General Prosecutor's Office can ban what it deems to be “extremist materials” online. All the state agencies then send the URLs and IPs of the content deemed illegal to Roscomnadzor, which is in charge of the banned websites registry. Before a website is added to the blacklist, censors send a notice asking its owners to remove the offending content. If the website owners don't comply, the website is added to the blacklist and blocked by Russian ISPs. However, not all ISPs block banned websites immediately, and some don't do it at all. In mid-February 2016, Russian Prime Minister Dmitry Medvedev was attending a meeting of the state cinematic council at the Gerasimov Institute of Cinematography in Moscow. During the meeting, Medvedev attempted to access the torrent website RuTracker.org (recently banned in perpetuity in Russia), using a public Wi-Fi at the film school, and was able to do so on first try.